For all thrill-seekers and explorers alike! Adventureland is the perfect destination on your visit to beautiful Narragansett, Rhode Island. 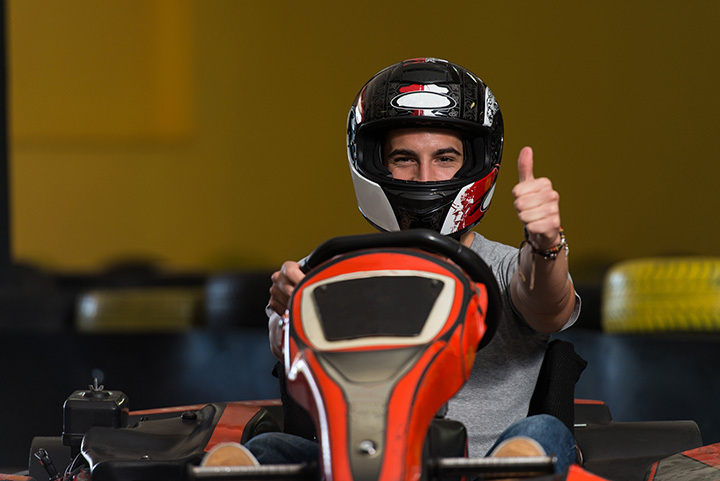 Spend an entire afternoon testing your skills in our batting cages, racing your friends and family on our gas-powered, state-of-the-art go-karts, soaking and bumping your "friends" on our bumper boats, or relaxing on our 18 hole nautical themed adventure-style mini-golf course. Don't forget to hop aboard Poppy's Carousel! Something for everyone is waiting for you at Adventureland. The idea of Adventureland Family Fun Park was born from Raymond Kells experience with the Water Wizz waterslide located in Westerly, RI . After many successful years in the water slide industry he aspired to bring even more family fun to the Southern Rhode Island area in a manner that was both appealing to the flavor of South County and the people who live there. The idea of a wet/dry fun park fit this niche. A brief partnership allowed him to further the idea into constructing Adventureland Family Fun Park in Narragansett. The park initially included a driving range. Hurricane Bob, in 1991, ravaged the range, but out of those ruins came the birth of the Go-Kart track. The Carousel and Burdick's Ice Cream was added in 2011.